China's newly adopted Foreign Investment Law is a crucial step towards building a world-class and business-friend­ly environment in China governed by a sound legal framework. People’s Republic of China Prime Minister Li Keqiang. 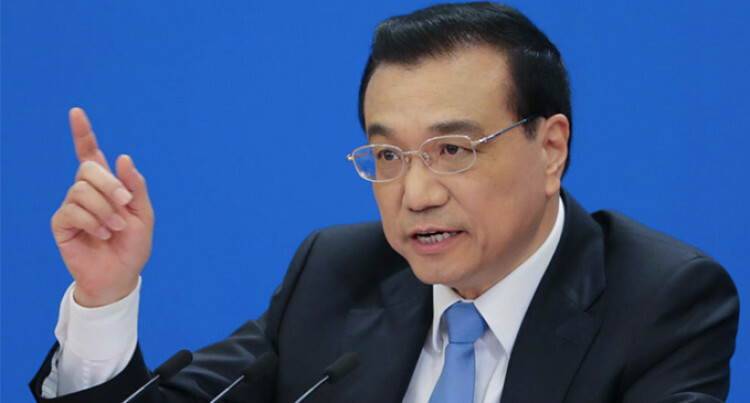 World economic growth has been weighed down by sluggish international trade and investment and ris­ing protectionism, says Chinese Prime Minister Li Keqiang. Speaking at this year’s Boao Fo­rum for Asia, Mr Li said new un­certainties and destabilising fac­tors are mounting even though economic growth has remained positive. He reminded delegates that the forum was being held at a time of profound and complex changes in the international landscape. “The situation on many fronts is intricate and volatile, compound­ing market unease,” Mr Li said. He said some market watchers have predicted the risk of global growth peaking and falling into recession. “The macro policy shifts of lead­ing economies, characterised by continued accommodative mone­tary policies and somewhat expan­sionary fiscal policies, all point to their efforts to counteract the downward pressure,” he said. “While no one should underes­timate the difficulties and chal­lenges, we must not lose faith or feel pessimistic, as we can also see many positive factors in the global economy, not least the impressive progress of the new round of tech­nological and industrial revolu­tion. “There seems to be a contest of strength between downward pres­sure on the one hand and growth momentum on the other. Mr Li said it was imperative to seek an inclusive path of mutually beneficial cooperation in the face of world economic headwinds, adding that no country can stay immune or resolve all problems. He reiterated the Chinese gov­ernment’s support for multilateral trading system and encouraged re­forms in the World Trade Organi­sation. “China advocates free trade be­cause it is the foundation and pre­condition for international trade,” Mr Li said. “China also stands for fair trade and has taken concrete actions to uphold fairness and equity, the lack of which would make trade unsustainable. While speaking about elevating regional integration in Asia, Mr Li said co-operation under the Belt and Road Initiative (BRI) will help to advance the integration process. He also mentioned that the newly adopted Foreign Investment Law is a crucial step towards building a world-class and business-friend­ly environment in China governed by a sound legal framework. Drafting of the law will be com­pleted by the end of this year to ensure its enforcement effective from January 1, 2020. “We are also combing through relevant regulations, ordinances and normative documents to en­sure that anything incompatible with the Foreign Investment Law will be either repealed or modified accordingly. “By the end of June this year, we will have released the newly revised negative list on the mar­ket access of foreign investment in general and that for pilot free trade zones, together with the catalogue of encouraged foreign investment industries. In closing Mr Li said China’s de­velopment is an opportunity for the world adding that a healthy and growing Chinese economy will open up broader space for mu­tually beneficial co-operation with other countries. The annual forum puts forth many valuable suggestions and recommendations on major issues of public interest like economic and social development. It was held in the coastal town of Boao in Hainan Province with the theme “Shared Future, Concerted Action, Common Development”. Amongst high level delegates who attended was chairman of the forum, former United Nations Sec­retary General Ban Ki-moon. Participants from different coun­tries were encouraged to share insights, build consensus and con­tribute to promoting peace, stabil­ity, development and prosperity in Asia and the world.